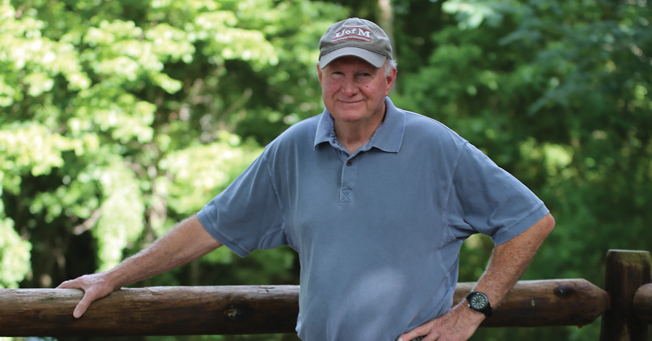 As Ray Higgins floated down the Chattooga River last summer, he did so with mixed emotions. After 40 years at Jackson Academy, this would be his last “official” year leading the annual rafting adventure. What started as a van full of adventurous middle school students had grown to be the hallmark experience for JA seventh graders. The challenge and thrill of the rapids remained, yet the moment was bittersweet. In the early 1970s, Higgins had recently graduated from Ole Miss. The Memphis native was working as a youth director at a Jackson church when he spotted an opening at JA. Thankfully for JA, he got the job. Taking part in Young Life while in school and summers at a Christian camp had shaped the young history teacher’s outlook on how fun and community could lead to greater understanding of self and spirituality. “As a teacher and coach, I wanted to incorporate that at JA,” Higgins said. “So I just started the trips. I loaded up a van and asked kids, ‘Who wants to go?” The first summer, he took two trips—one for girls and one for boys. Soon after, fathers started joining in, driving a second or third car. The trips grew from 30 to 60 to more than 80 students and chaperones typical of today. Upper school students now join the fun as mentors. Higgins organically grew the seeds of an idea into the can’t-miss opportunity of Middle School—one that alums remark on today as seminal to their time at JA. JA is exploring ways to expand similar opportunities for students and families to step away from the classroom and hubbub of daily life, examine their relationships with each other and with God, and reflect on what it means to live a purpose-driven life. Day 1: Head out from Jackson. “Coach Higgins employs handwritten maps that can be delightfully imprecise to the untrained eye,” said Gregory Johnston ’91. “Many of the rural destinations on the trips have no cell phone coverage.” Once you make it, spend an afternoon of hiking and swimming in Alabama’s Cathedral Canyon, followed by a steak cookout at camp. Day 2: Raft the Ocoee River in Tennessee. Just a little bit scared? Ray reminds us: “You can sit at home or trust in God.” Make camp in North Carolina for the night. Day 4: Fill up on Chick-n-Minis at Chick-fil-A before tackling the challenging, yet beautiful, Class V rapids of the Chattooga River. You’re an outdoors pro by now. Then drive to Atlanta in the evening for dinner out and a relatively luxurious stay at a hotel. Day 5: Head back to Jackson, bursting with new friendships, stories to last a lifetime, and true life-changing experiences. It’s clear that Ray Higgins is a veritable force of nature, not easily duplicated. Thankfully, Higgins has agreed to work as a consultant to help guide the JA team in maintaining and enhancing what’s available to students. As part of the program, JA seeks to incorporate outdoors experiences with other character-building opportunities and offer signature events for grades first through twelfth. Henderson will step away from coaching and classroom duties and will take the lead, with support from other faculty and staff, in shaping this leadership program that will be a key role in our strategic plan. • Visits to the Down Range ropes course in Clinton. • Lunch to Lead workshops and talks. 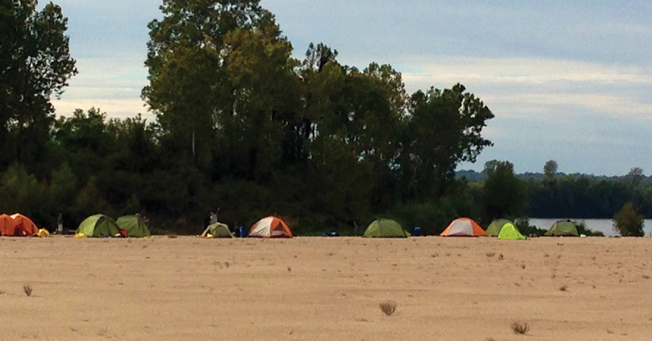 • Canoe trips on the Mississippi and Okatoma rivers. 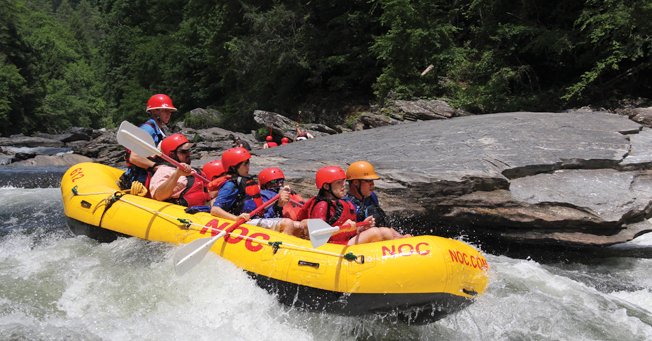 JA also will continue the popular “Chicks to the Chattooga” rafting trip that took its inaugural run last summer, pairing mothers and JA counselors on a mini version of the student trip.